NOT DONE OR PUT UP ON WEB YET. Wallis and Steevens, Ltd. manufactured steam lorries in Basingstoke. This image is the only information held by the VSCM. 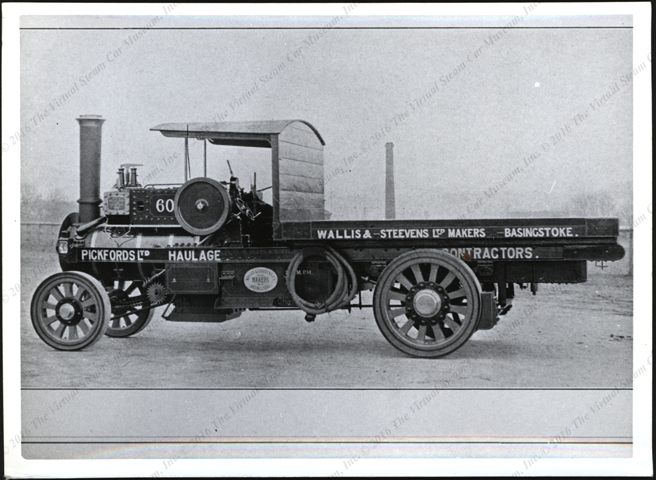 This image shows a heavy steam lorry made by Wallis & Steevens, Ltd. of Basingstoke. Contact us if you have additional information about Wallis and Steevens Ltd., or if you have questions.